Android is well known for its vast possibilities for customization. Dare I say, customization is a crucial pillar of Android ecosystem and it is one of the main factors that has contributed to the success of this mobile operating system. 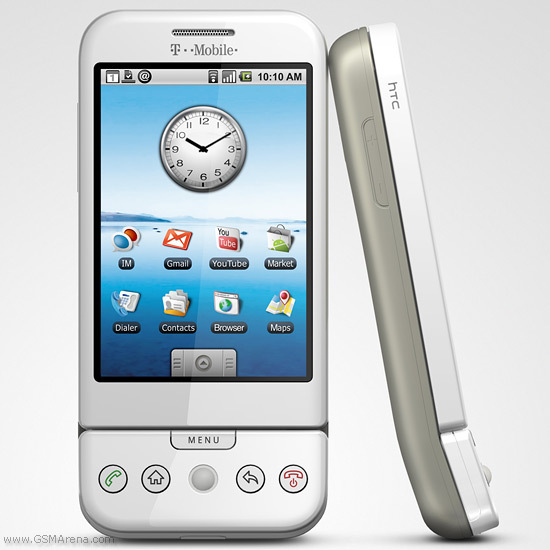 Since its very first release in late October of 2008 on the Google G1 also known as the HTC dream. Android had already given a taste of personalization to its users. Anyone who was lucky enough to get his hands on the G1, will definitely remember the murky looking UI and those fuzzy things on the screen. These things, they were and are still called Widgets. Albeit they were cool things and these cool things were able to display dynamic content. For instance a weather widget was able to update itself to show its users new information. In my opinion this was a bold statement to the other mobile OSes at that time. The symbian OS was striving to bring new features to its users; iOS was high up in its glory at that time with the clownfish wallpaper which everyone liked; and for android well it was different. It had a vision, being open and leveling up open standards to mobile devices. It was to be an operating system that users would personalize to their own likings and not an OS that would impose a single way of doing things. You did not like your ugly looking keyboard? Simple, you just change it and install a new one. It was the same thing for browsers and email client. It was giving back the control to the user without compromising the functionality. Android was a rockstar mobile OS to-be and a rockstar it has become. Great things await us for the next release; the L release. This new version will bring us a version with a low memory footprint with an optimized battery usage. One might ask, but why did Google spend so much time making a version of Android that runs on low-end hardware when nowadays most phones come out with either a dual-core or a quad-core CPU? The answer is simple, the aim is to be make Android L run smoothly on low-end devices without compromising the experience. Low end devices was once a market segment that only Nokia could rule but this seems to be changing soon. Apple did try to conquer part of this segment by releasing a cheap version of the iPhone, the iPhone 5C last year but it did not work out that well. On the other hand, Android devices such as the Moto G and Moto E have had a huge success in countries such as India and Brazil. Windows introduced the flat Design. Good for them. And for us, Apple and Google have re-envisioned this design. Combined flat design with some elevation effects and Material design was born. Android L is being totally revamped so that all the base apps use Material design. A new multitasking system was implemented to allow navigating back to recent apps quickly. It is pretty clear that user experience, privacy, and security were the main focus for new version. Let’s see what awaits us this 15 September as Google plans to unveil the Android One smartphones.